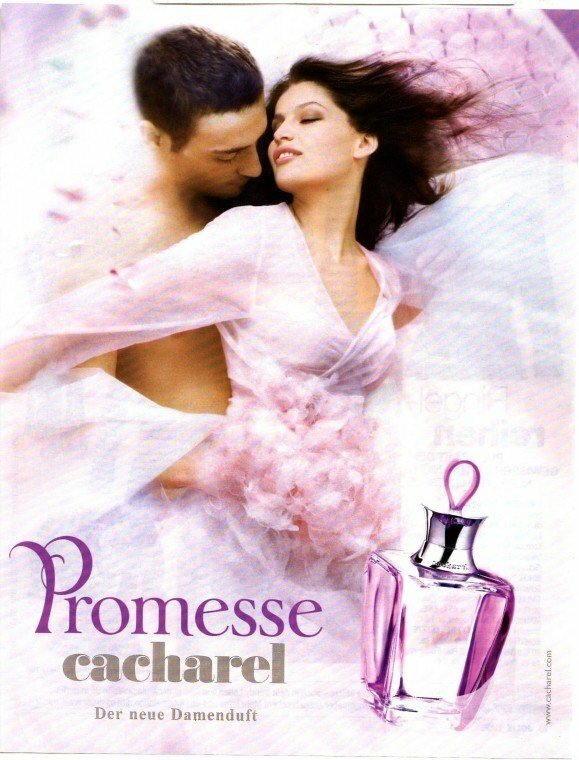 Promesse is a perfume by Cacharel for women and was released in 2005. The scent is floral-fruity. It is being marketed by L'Oréal. This fragrance is really pretty. A delicate balance of soft florals and sweet fruits. It's light, sweet and creamy all wrapped into one. The scent is a little synthetic, however that doesn't bother me. My initial impression of Promesse was a good one, and I'm rather surprised that this fragrance has slipped under the radar. Although you probably won't find this scent to be overly outstanding or unique, there is something about it which is very appealing. I can't exactly come to a conclusion about what it is that I like about Promesse, but I know for sure that I am impressed. Write the first Review for Promesse!